Jason Chong begins his show with a warning: If you don’t like crass humour you’re not going to like this show. 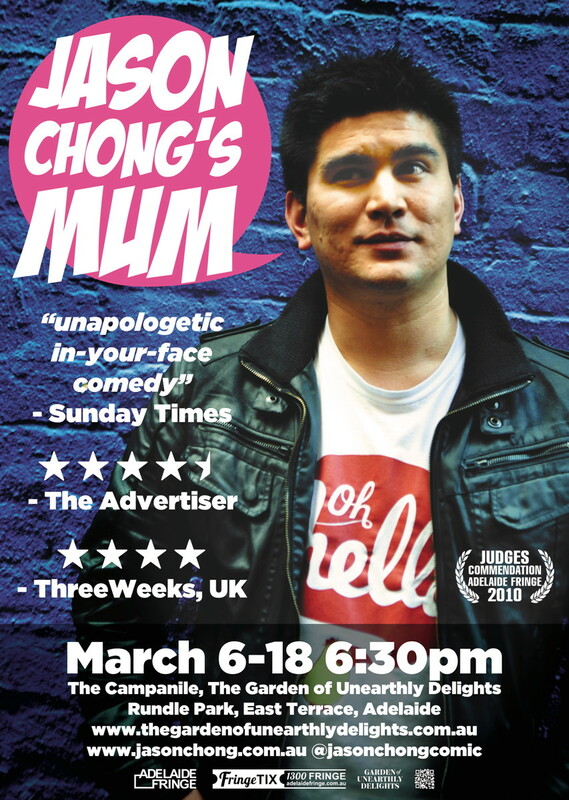 This may come as a surprise because Chong is usually known for his smart and inventive humour, something which he says this show lacks. But he is selling himself short because, while the show is more straight stand-up than in the past, his jokes have depth with much of the show centring on some of the most important people in his life even if he is mocking them. Chong loves to bounce off the audience, which makes every show just that bit different, and he even handled well an unexpected interruption from an extremely drunk woman who suddenly appeared in the tent. After an hour it is safe to say Jason Chong’s Mum has staying power and vitality. Thanks Jason Chong for allowing people you don’t know to talk about your mum in inappropriate ways.